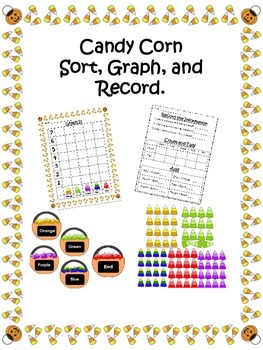 This math center requires students to sort, graph, and record information based on different candy corn colors. 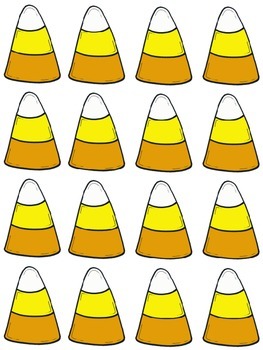 The great thing about this math center is that you, the teacher, can control the difficulty of the activity based on how many candy corn pieces you give the students. This makes the activity easily differentiated for different ability levels. The file includes 5 different colors of candy corn pieces along with matching pumpkin bucket sorting mats which makes sorting easier. 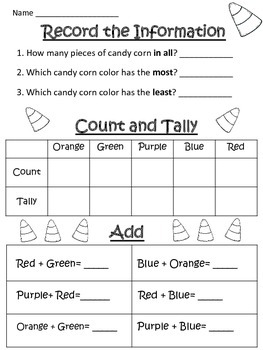 Additionally, the file includes a graph that the students can use to graph their findings and a recording sheet that asks the students to use the data that they collected to answer questions such as which color has the most, least, and how many candy corns were recorded. The students are also asked to count each color and then to tally the number as well as add certain colors together. To save on printing the graph in color for all of your students, you can always print enough graphs for a small group and then place the graphs in sheet protectors. The students can then use whiteboard markers on the sheet protectors and then easily erase the graphs when their center time is over. 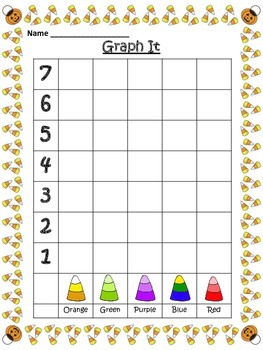 The next group can then use the same graphs. This center is easily differentiated and will be fun for all ability levels. My students have enjoyed this center and I hope that your students will enjoy it as well. Please enjoy this Angry Teacher Creation!